This piano was used to decorate my living room for 40 years, was seldom used and displayed closed. For my 89th birthday a renowned concert pianist was hired. To be sure the piano was in top working order a skilled piano technician was hired. He replaced components that were needed, rejuvenated the working parts and felt hammers from their slumber. He then fine tuned the piano making sure the tuning posts held their tone after words. 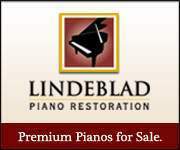 This piano is a two for one bargain, its beautiful and in excellent working order with a beautiful tone. 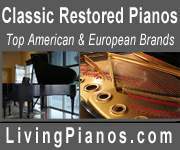 Used Boston Baby Grand Piano Model GP-163 II, 5'4"